CHRISTMAS EVE. I think we’re going to get a bunch of snow today (for a genuine “white Christmas,” but no matter what the weather is like or what’s going on in the world (including some very SAD things), this is the time when we commemorate the birth of the SAVIOR OF THE WORLD… JESUS CHRIST. 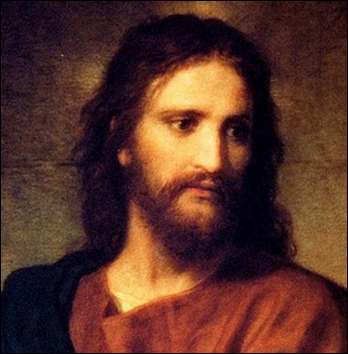 Oh, what a beautiful thing it is to be reminded of Him – His life, His mission, His atoning sacrifice, His example of all that is good and pure and true and holy. I’m sharing two poems which I’ve loved and pondered for at least 30 years. They may be familiar to you, or perhaps not. Either way, let them add to your thoughts and gratitude on this CHRISTMAS EVE. And life’s slow falling loss. The winnowed stillness of thy holy face. For who is there to listen In that dark. . .
Or be in a lighted instant at his side? To find thee past the dark deceptive dream. But composite of all crosses, such as mine. That moves me to cease sinning against Thee. The insults Thou suffered and Thy death move me. As now I love Thee, I should love Thee still. OH THANK YOU SO MUCH !!! You have helped me find something I didn’t know how to look/search for! I love this translation! And now I know who wrote it originally! THANK YOU, NANCY!!! MERRY CHRISTMAS!!! Thank you — and yes, I do love it when Christmas comes on Sunday. Have a beautiful day. I have never read either of those poems! Thank you for sharing the wonderful truths. Oh how I love my Savior. I am trying every day to be a little better……but fall short too often. Merry Christmas MEE!! Thank you for this post, with the beautiful poems and pictures. 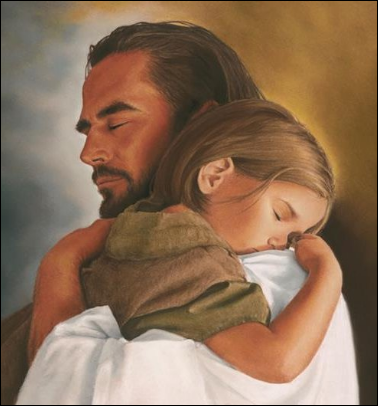 The picture of Christ hugging the little girl moved me to tears. I added it to the lock screen on my phone so I will see it over and over again each day and be reminded that He would hug me like that, if He were here. That particular picture really touched me tenderly and deeply as well. I’ve been trying to find out who painted it. No success yet, but I’m SO thankful I found it. Thanks for your note. Thank you! I love the painting!! I just found the artist’s description of this painting and shared it with you on your Facebook page since I didn’t have a clue how to post it here or if that’s even possible. I hope you find it because I think you’ll like it. The more I learn about this painting and his other works, the more I love his work. Thanks for introducing it to me. Merry Christmas! Merry Christmas, MEE!! Those were beautiful poems. I am wondering if you know who painted the third picture? I wish I did know — if I’m able to find out I’ll let you know. I love it SO MUCH!! And I’m continuing to enjoy my “Christmas globe” each day… thanks again!! HA HA… I love that word! I get to open # 25 today!! Thanks again for a fun, wonderful gift! !